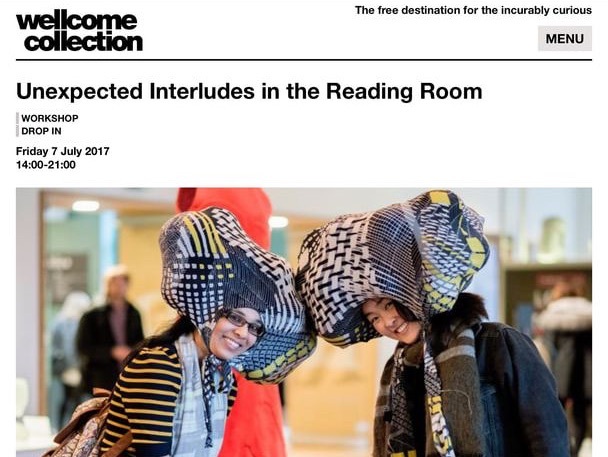 As one of Wellcome Collection's pioneers of the new Open Platform event series, In July 2017 I was invited to take part in Unexpected Interludes, offering the audience unexpected experiences where they could step into the unknown. ​People came from all over the world and created a collage for their World in a Suitcase exploring Childhood, Health and Travel. 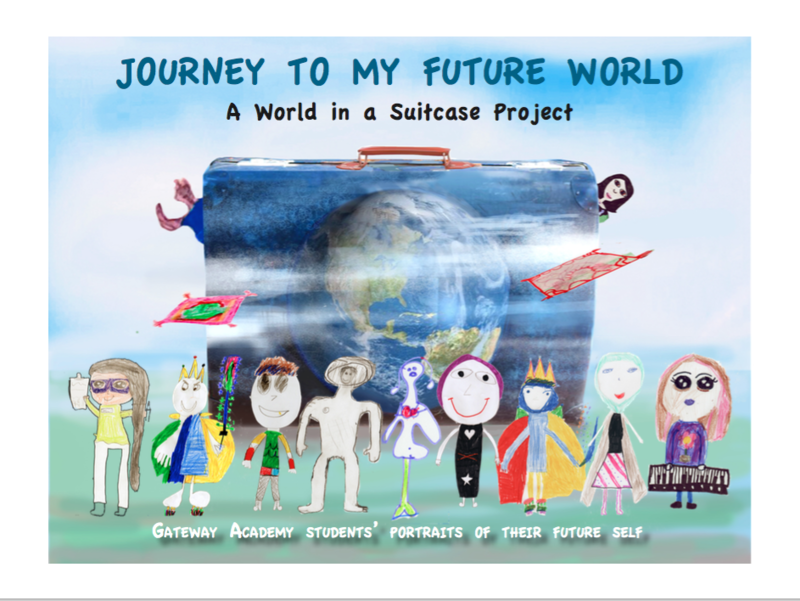 Run over eight weeks at Gateway Academy, Westminster, the students became explorers and kept a log of their journey by capturing their thoughts and feelings with drawing and stories. All their work has been collated into individual books for each student and is being showcased at an exhibition in the Autumn (2017). A rolling community learning programme, for Westminster Adult Education Service (WAES), exploring the 'Worlds' articipants, through story, art and installation. The suitcase represents a 'World' filled with memories and objects that have a meaning for them. 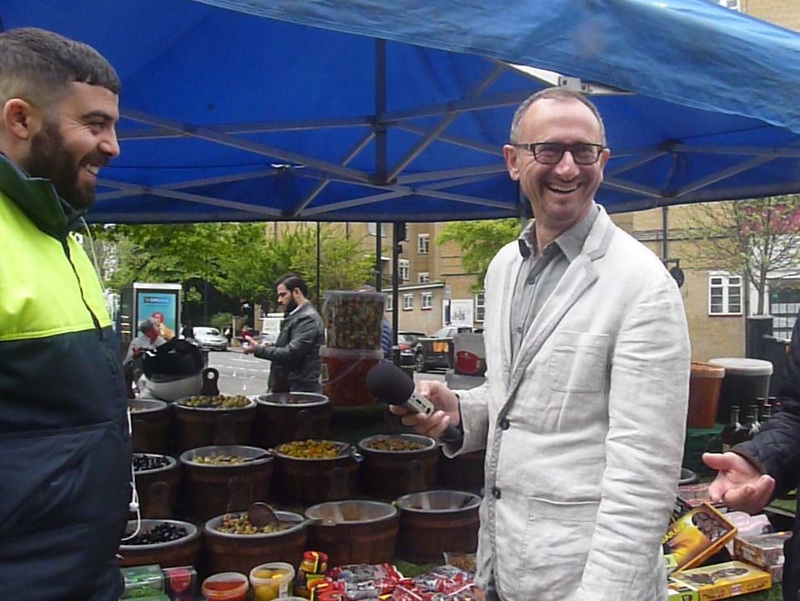 Funded by Create Church Street , I directed and produced a film about Market Traders, Edgware Road, London. The traders who come from all over the globe share their 'worlds' and dreams in this revealing short documentary (shortlisted for GOLDEN HEART TRELLICK AWARD at Portobello Film Festival (2017)). ​Jo Sarsby Management represents some of the UK's most recognised factual entertainment presenters and best loved on-screen personalities. I directed an interactive children’s show, with Ben Garrod, for them, using footage from the BBC’s Planet Dinosaur to explore the deadliest predators to ever roam the planet. I produced and commissioned content for TV, Radio, Events, Print and Digital (web, social media and mobile phone). I developed and produced the Tudors on Tour history festival with immersive theatre, film, sports, hands-on activities, digital content, community and schools outreach. The aim was to connect with more than 10,000 people over a spring weekend in 2015 and take the format on tour in 2016. ​Save the Children. The campaign attracted over 500,000 participants. Working as an Associate Consultant, I developed Partnership and Informal Mentoring strategies for a new networking site, Hiive. This is a digital community of collaborators from creative industries across the UK. 10,000 members were on Hiive by the end of its launch week in March 2015. "Timuchin and I worked together on a number of high profile events for the BBC. He has very sound editorial judgement and a natural flair for fostering excellent relationships with multiple stakeholders and opinion formers. He is extremely creative, brings lots of energy to every project, and is a fun and very popular colleague to work beside". "Timuchin is a joy to work with. He is a decisive, take-charge person with tonnes of creative flair and a professionalism and personality greatly respected by his subordinates, peers and seniors. Tim's biggest strengths are making the impossible possible and having sound judgement and belief in his teams abilities; delegating responsibilities accordingly to make his projects a success". "It has been a pleasure working with Tim on the recent ‘A World In a Suitcase Project’, which was one of WAES most successful community cohesion projects to date, not only was it relevant in this particular climate where there is much movement globally, but it allowed participants to engage, openly and share their unique journeys.